The only information I can give on the video is, that it was posted on LUE (Life, the Universe, and Everything) message board, on the site GameFAQs.com. I wanted to know if you might be able to help me find this mysterious Pianist? He's pretty good, I say! MEGAß¥TE: Here is what I was able to find out: He is a senior in high school, where he's known as the crazy blindfolded pianist. He is going to attend the Cleveland Institute of Music (piano conservatory) next year and major in piano performance, studying with their best piano instructor/soloist. He has already played a solo (Mendelssohn's Piano Concerto No. 1 in G-Minor, OP.25: 3, Presto) at Carnegie Hall at the age of 17 and won a competition to play a solo with the L.A. Philharmonic. He uses the Mario music as a warm up. He is apparently very humble in his skills. It looks as if Lizard Dude has a serious and formidable challenge. Deezer: I'm impressed. I think he released another video before, where at one point he played the going-down-a-pipe sound effect and then said "That was the pipes." I LOL'd IRL. David Dayton: This is the third time I've been referred to this video... but I am unable to download it. I always get an "Error - File Not Found" message, which strikes me as rather odd, given that I have had no problems downloading any other file at any given time. Tell Deezer thanks for introducing me to the world of Continuum, even though he did it a long time ago (in mailbag fo 22 Aug 2003). The game is fun! I even made some new friends who also happen to be from my home country of Serbia (former Yugoslavia). David Dayton: I remember Trade Wars. On WTMK, there is a song that I really like but I can't find it on your site. It's called SMB 1. 2. 3. Skip! Hop! Jump! I think... I would appreciate it if you told me where to find the song or where it was on the site. David Dayton: I think I might need to do a WTMK update, using Mario vs. Donkey Kong music. I know Waluigi is a trophy on SSBM, but can you actually unlock him as a playable character? Deezer: Nope, he's only a trophy in SSBM. Maybe someday Nintendoor, more likely, one of their third party developerswill make a Waluigi adventure game that is equally as bad as Wario World. MEGAß¥TE: No. No, he doesn't. 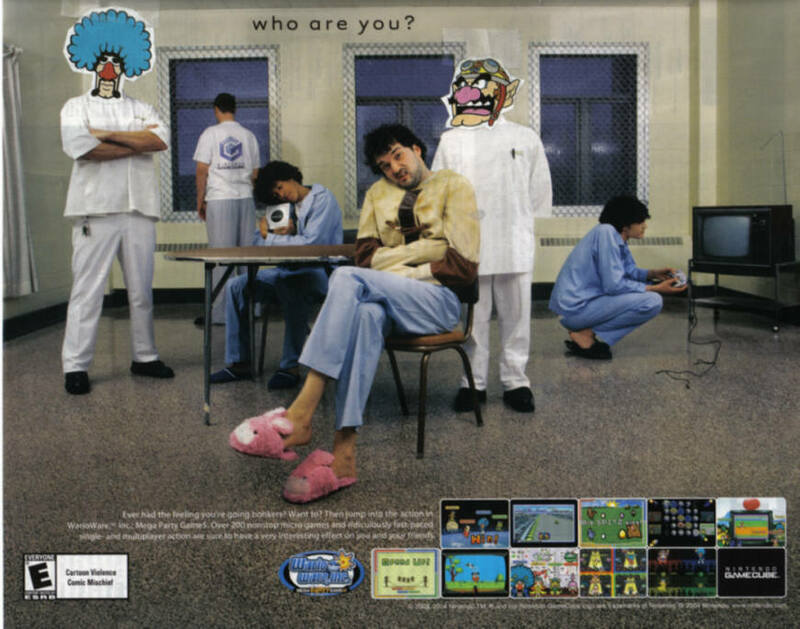 David Dayton: Hey, Wario World was a decent game... just fairly short and arcade like. You probably already got an email like this earlier but I didn't see one so I'm sending this. I was trying to find out if it was possible to get to the Minus World in the GBA Super Mario Bros. So, I did a Google search for "minus world." I found out that it was impossible, but there was one thing that stuck out in my head. The first page that came up was this one: http://www.smbhq.com/users/mysteries/minusworld2.htm . It claims that there is a second minus world that has Goomba King in it. This page provides screenshots and there's also a letter from a member of NOA. This does look cool, but I don't want to bother trying it. Mostly because my SMB Cartridge (The NES one.) will freeze every two seconds, and (as they claim) there's only a 1/2002 chance of getting in the -2 World. Wasn't the Minus World a glitch? I thought it was. I don't know how or why Nintendo would program a secret level in a glitch. That's what makes me think it's fake... But then again, there are more Goombas then Koopas in SMB. So, I think you guys should know if this person is a lying piece of crap, or if they are telling the truth. So... are they? Deezer: It's fake. It was part of one of their April fool's updates. David Dayton: It's impossible to reach the minus world in the GBA Super Mario Bros.? That's news to me... I was fairly sure I did that just last week. MEGAß¥TE: That's not what Deezer said. Deezer: The Minus World glitch still works in GBA SMB. Access to the Minus World was removed from Super Mario All-Stars and Super Mario Bros. Deluxe. I'd like to talk to you people about some of the DK-related comments you made in the last mailbag. Apparently, you have no respect for the DKC DK. 1) A better question might be the relationship between Donkey Kong and LankyKong. Lanky is a far off member of the Kong Krew. A distant cousin of something like that. Sure he's an orangutan. But DKC3 states Dixie and Kiddy Kongs are cousins despite that Dixie is a monkey (her tail is shoved up her shirt so it won't get in the way of her hair.) and Kiddy is a baboon. Smae applies to Tiny and Chunky. 2) "Actually, Donkey Kong Country clearly refers to Cranky as the grandfather of the current DK... DKC2 merely continues the trend. 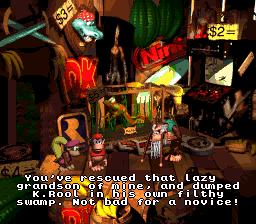 Cranky's use of the term "son" in DK64 isn't meant to be construed literally... you might have noticed that many older folks use the term "son" as a term of endearment towards young guys, and I think that it is in this light that Cranky's comments should be taken... besides, aren't we all trying to forget DK64 as best as we can? > Yeah, DK Jr. is in a few games prior to DKC and in at least one released after DKC... the fact that DK Jr. appears in a different form (full jumpsuit) than the DKC DK seems to imply that they are -different- characters. (Not to mention that the DKC manual -says- he's a different DK)." 3) "grand son" is the dumbest thing I've heard regarding this. Anyway, Nintendo says DKC DK ("Super Donkey Kong") = grandchild of "Arcade" Kong. Do you question Nintendo?" Considering what the recent Donkey Kong titles Nintendo is making are like, I'd say yes. I do question Nintendo. 4) The GBA remake of DKC DEFINITELY says "grandson." I've always just gone with the impression that DK is Cranky's grandson, and so his father is DK Jr.--simply b/c of how old Cranky looks and that the games and such have said both at times. See you guys aren't the only people that analyze DK. Only where I come from, we do it right. MEGAß¥TE: 1) I'm not saying that she's not a monkey, but to my knowledge Dixie has never been shown with a tail, and anatomically, she couldn't have one "shoved up her shirt." Rare Scribes has confirmed that the Kongs are all related "somehow" even if they can't seem to keep consistency on the "how." 2) The manuals can be used when they back up what the games themselves say. 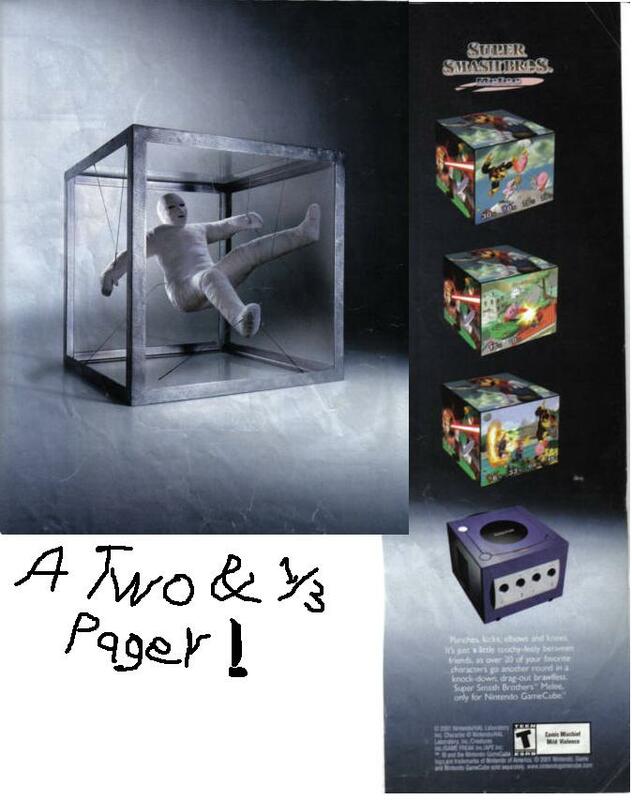 In fact, the stories from the manuals were posted on Rare's site and will be detailed below. The stories were also included in the GBA versions of the DKC games. DKU can say what they want, but they haven't backed up any of it with facts (I'm assuming they must have had something at one point, but they don't now. They mention Loveday said something, but don't show the actual evidence and Rare has taken down their old Scribes postings. I've searched archive.org to find the quote, but didn't. There were 5 Scribes bags missing from the archive, so maybe it was in one of those. If anybody has it, feel free to send it). In any case, have you seen DKU's explanation for Baby Mario? Also, Rare Scribes used to make fun of Slush (a major proporter of the DK as Cranky's son theory) in edition after edition for his theories and it's not surprising. Read for yourself since there are too many to post here. 3) How can you question what the publisher of the game says? That's just dumb. Note that link was to NCL, not NOA, which is already known for changing things in weird ways (i.e. Birdo). 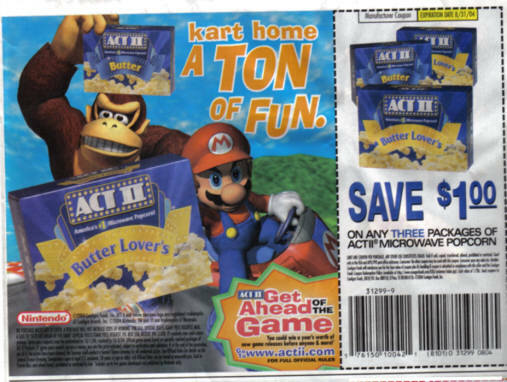 It was also written in 2000: after DK64, but before the Rare sale and the new DK games. That doesn't matter, Rare's site backs up the claim as well. 4) The SNES, GB, GBC, and GBA games all indicate the same thing, yet you act like they somehow got it wrong MULTIPLE times and got it right ONCE in DK64. Also, it is clear that he was designed as a grandparent figure by his dialog. The things he says are not said to a son, they're said to somebody younger. 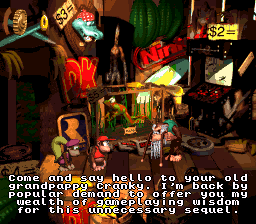 Adding to the inconsistency mess, Cranky says "Come and say hello to your old grandpappy Cranky." in DKC2, that is, to Diddy. Also, Rare can't seem to keep Diddy's nephewhood straight either. I wonder how much worse the DKC cartoon series made it... Also, I just watched the DKC video from Nintendo Power that was produced while DKC was still under production. The clip is linked below. Obviously they either hadn't nailed the storyline done yet or have never intended to do so. The simple fact is, Rare had no respect for its own series if it couldn't keep consistency in DK64. If where you come from, right means wrong, then sure, you did it right. Moron, you didn't even send this e-mail to the right address. And yes, I saw your DKU forum post. 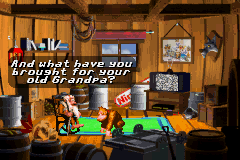 • Game manual / Rare website: "He groggily rolled over to see the familiar wrinkled, white-bearded, grouchy face of his old granddad Cranky Kong peering down at him." • Game manual: "Cranky Kong, aging video game pioneer and primate patriarch, swayed back and forth in his rocking as he harrassed his grandape, Donkey Kong..."
• Game manual: "Stop your sobbing and come tell old grandpa Cranky your problems..."
• Game: "You never visit your poor, frail old Grandpa!" • Game: "And what have you brought for your old Grandpa?" • Game: "At last, you've come for some game advice from your old Grandpa!" • Game: "Well, you've amazed your old Grandpa by getting this far!" • Nintendo Online Magazine: DK Jr. is described separately from "Super DK" and "Arcade DK"
• Game manual: "That darn Donkey has all the luck! His girl Candy waits around in her hut, always willing to offer her musical help to that undeserving son of mine and his fancy polygonal friends." • Nintendo Power DKC Exposed video: Quote from Tony Harman, product development manager at Nintendo, and backed up by Dan Owsen, product manager for DKC and other Rare games at Nintendo, "Cranky's the star of the original Donkey Kong games... [DK's] dad or grandfather played that game." (This quote doesn't quite make sense as he slurs words together). • Game: (to Diddy) "Come and say hello to your old grandpappy Cranky." • Rare Scribes: "Who's to say Mario or Banjo (or even Cranky, or one of the others) didn't unwittingly fall through a dimensional rift at some point in the past? There's no guarantees in the world of videogames - especially when all the characters and places are totally fabricated in the first place, you strange boy." • Rare Scribes: (In response to "(5) You should have killed off Cranky Kong instead of Wrinkly!") "5. It was probably more to do with "we need a ghost character - quick, who's old?"" • Rare Scribes: (In response to the problem of species) "Hey pal, I just work with the material I'm given, know what I'm sayin'? ... (though I doubt even that would have done anything to brighten the ugly, dead-eyed stares I got from the entire DK64 team while attempting to present them with your 'concerns')." Hmm, how about some more controversy? • Rare Website: "Long-established second half of the big Kong double act, DK's nephew Diddy..."
• Game: "In the past few years, other members of the Kong Family have cashed in on DK's fame as well, including his favorite nephew, Diddy." • Rare Scribes: "P.S. Diddy's DK's nephew, I think..."
• Manual: "Diddy Kong: Donkey's little nephew wannabe." Donkey Kong Country SNES, Donkey Kong Land, Donkey Kong Country GBC, etc. • Diddy is repeatedly referred to as "little buddy"
And just because I spent all this time compiling consistency information, how about some more fun? *Yes, instead of Kiddy Kong, his name is Dinky Kong in Japan! Dinky was one of the names that Rare considered and discarded for Kiddy in the English versions. This game was also released on GBC instead of the original GB. Mushroom Boy: So DKVine tells everyone that Cranky is DK's -father-? AhaHAHAHAhahaha, "whoops!" Lizard Dude: 3) I think the recent Donkey Kong titles Nintendo is making are brilliant. Deezer: Well it's pretty obvious that Rare didn't care about and/or want a consistent storyline, and I think you can see why we are going with the "Cranky is DK's grandfather" theory. Naturally, the next question would be "But, but... then what happened to the original DK Jr.?!!?!?!" If Rare actually cared enough to bring him back, just how attractive would a middle-aged Kong in a white jumpsuit be anyway? 3) Donkey Kong: Jungle Beat doesn't interest me. 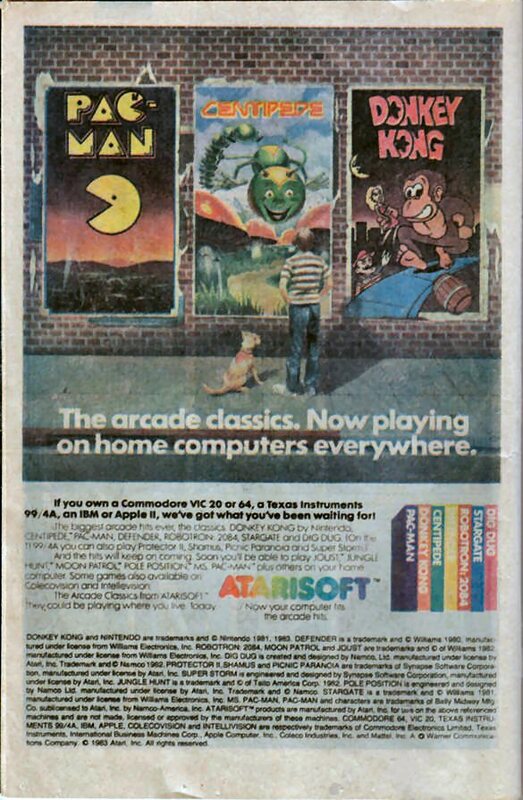 Unless Donkey Konga is a success and gets like nine sequels, I fear DK:JB will fall into the lonely category of Games Made for Abandoned Peripherals (Yoshi's Safari, anyone?). The first thing I thought of when I saw DK: King of Swing was, "Woah... DK meets Clu Clu Land!" It looks like it has potential, so I'll give it a whirl. Get it? "WHIRL"?! LOLFOLROFL. 1) I'll readily accept Lanky as some sort of distant relative, but the exact nature of the relationship is unclear... hence my pondering of the exact nature of it. All of the Kongs are primates (even Manky), so they are all related, in a certain sense. 2) Until you can show me clear proof otherwise, Cranky is the current DK's grandfather. The manuals, games, and NCL all back this up. MB glossed over this, but I will also say that the phrase "pappy" is generally used to imply a grandfather, as opposed to a father; it could imply either, but "pappy" usually refers to the grandfather, and not the father. As an aside, if we are to trust any manuals, I'd trust the ones for the DKC series, as the games were designed in an English speaking country. 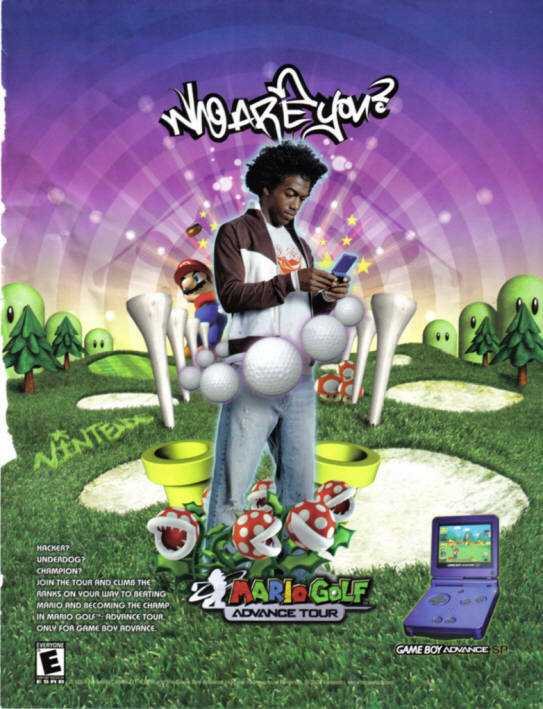 The manuals and game text were supervised by the same NOA team, and Rare knew about both. There is really little room for error, which you often find in games being translated from Japanese. 3) The only recent DK game by Nintendo is Jungle Beat, which is an amazingly interesting little game. Donkey Konga and King of Swing are by outside developers... but even so, what is your point? 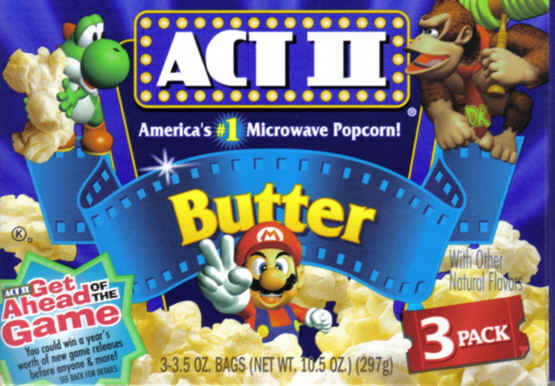 All three play better than DK64 at this point (and yes, I've played all three of them. I should really make some e3 impressions). Oh, that reminds me... issues that are still at hand include the SSBM trophy descriptions of DK and the appearance of DK Jr. in Mario Tennis (N64). The latter can be excused in the same way as Baby Mario, and I prefer to leave SSBM in the "slightly errant" category until proof can be made to the contrary. Please don't take any of this as a personal attack; in fact, I'd like to extend the 1up Mushroom of Peace to our friends over at the DKVine site. Perhaps we can play a round of Warppipe MKDD sometime -- I'll even let you be DK and Diddy. Mushroom Boy: Did you forget that you can't choose your character in LAN MKDD? David Dayton: Quiet, or I'll introduce you to my pal, Mr. Pizza Sauce. Sapphira: *actually is PLAYING DK64* Holy crud, that's a lotta info. x_x I was gonna add a real reply to this email, but it looks as if everything is WAY covered. While playing as Donkey Kong, grab Mr. G&W and tilt the control stick in the direction that DK is facing. You will notice that DK holds Mr. G&W on his back. Watch as Mr. G&W flails about at the normal frame rate, rather than his usual old school fashion. David Dayton: I like Mr. Game & Watch... if only I were better at controlling him. Mushroom Boy: Hey, a friendly Donkey Kong e-mail! Okay, so I have been visiting your site on an occasional basis for about three years. Ever so often I would read about the infamous secret page in a mailbag, but since no clue was ever given ever I started to think that it didn't actually exist. I had hear rumour that there were clues around, but since no mailbag answerer ever gave them out, I didn't think I'd ever find out what they were. But now I have seen the wonder that is the secret page. Finally I can rest for my life is complete. David Dayton: There is a "final" riddle? I can't remember where this page is anymore. First I want to say (and I'm sure you've heard it many times before) that I really appreciate your web site. It is truly the best Mario site in existence. 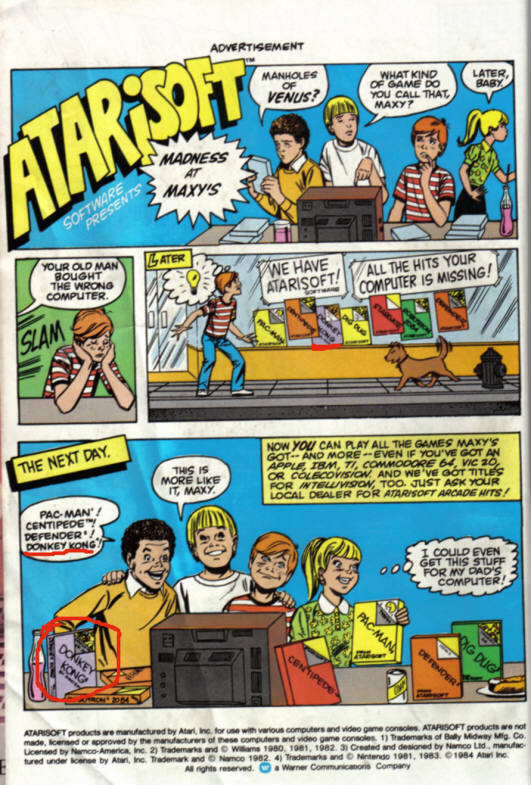 Now my question is, "What are Game Genie and Game Shark and Pro Action Replay codes and how are they used." I am kind of embarrassed to admit that I don't know what they are but I've never quite figured it out and I couldn't find info telling me what they are. MEGAß¥TE: Well, even if you haven't been living under a rock all your life, have you heard of Google? I was going to refer you to GSCentral, but they've been having server troubles lately. Basically, the GG, GS, and PAR are devices that change values in ROM or RAM (or newer versions that can actually add ASM routines) in the game. Codes for these devices allow you to mess with numerical values, such as the number of lives, change the way the game behaves under certain circumstances, unlock levels without beating the requirements first, and sometimes allows you to find hidden stuff that the programmers left in there but didn't mean for anybody to see. David Dayton: They are evil devices, designed for evil purposes. EVIL EVIL! Er, yes, that is a Mario & Yoshi trophy you see ... ignore that. Hello, TMK. One day I was Thinking, and I had a great idea! You could update the Mario Mania section! (well, i guess you updated the CD part but its still a very neglected section...) Attached is some stuff for Mario Mania that I've been meaning to send to you for a while. All the pictures here have been scanned by me, with the exception of the tattoos, which I borrowed from X-entertainment. 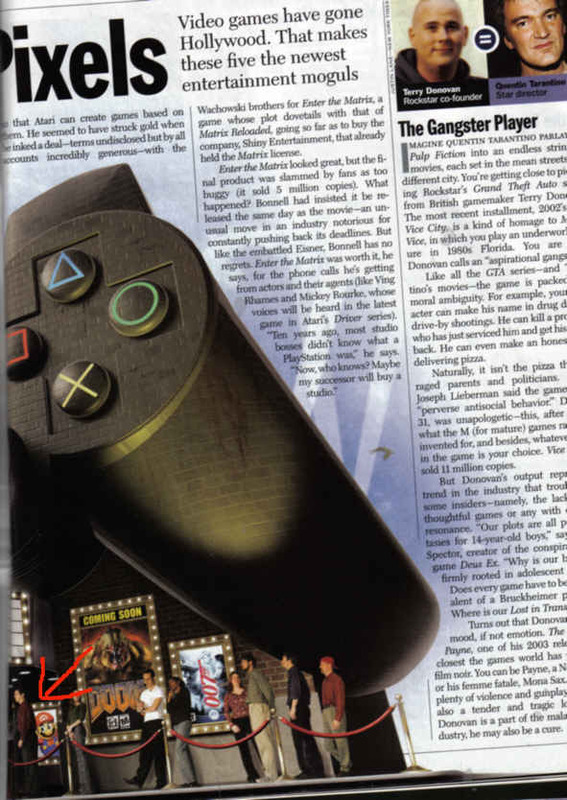 The TIME article, "You Ought to Be in Pixels", was from the April 12th, 2004 issue; pages 62-64. 1a. Are any of you gonna buy the Nintendo DS? 1b.If so, which game are you looking forward to the most? I'm personally looking forwad to the new SMB. 2. Is there a WinAmp 5 NSF plugin that's compatible with the modern skin? That ugly slidy-bar does not appaer on it, so it only plays the 1st track. 3. Did you now that Mario is in the Hollywood Wax Museum? Yes, it is true! I was dissapointed you had nothing about it on your site. 4. What made you decide to cover the DKC series? It's gonna be alot of work, with the game art, the sprites,the TV series (J.J. will be of some usefulness! ), the mariopedia, etc. Hopefully, us fans will keep sending in the wavs, midis, mods, etc. 5. Have you heard of www.marioportal.com/ ? It's not nearly as good as your site, but I think it's better than sm128c. 8. 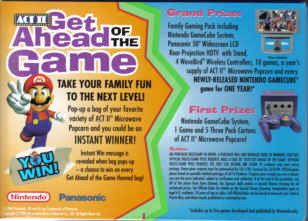 Would you like 2 mario commercials? There the ones for the CNESS and MGA in AVI format. I wanted to keep this nder a MB so i didn't attach 'em. Note that I recorded&converted them myself. Also note that they don't work in my WA, but they worked in WiMP, Real(crappy)Player and QT (any idea why it didnt work in WA, MEGAß¥TE?). I also have a wealth of game art and merch pics that are my own (I did not steal'em), so if you would like something, just lemme know. You guys are still the best Mario site on the web! 1b. None in particular, I just want the system. 2. I haven't had any problems with NEZplug. 3. Yes, we've covered this here before. 4. Several of the staff members have wanted to do this for a long time, but Diddy in MK:DD was probably what tipped the scales. 5. Yes, but they focus mostly on fan submissions, which I do not care for. 6. The soundtracks are copyrighted. While we can use a small amount of content from games under fair use, we can't provide entire CDs for download. 8. Sure, send them in. I don't use WinAMP for playing movies, I use Media Player Classic, but I don't see why they shouldn't work in WinAMP. 1b) NEW SMB, fo' sho'. 5) I've been there a few times. 8) Sure, send 'em, please. David Dayton: 1a) Of course. 1b) Animal Crossing, if it's online. 3) I remember that, sort of. 4) Let's just say that the most vocal opponent finally gave in, especially when it became clear that Nintendo was going to produce "DKC Universe" games. 5) I've been too busy basking in the glory that is the site formally known as DK's Jungle Vine. Or whatever that is. 6) Legal issues. Cough. That and storage space. 8) Send them or DIE... or just send them. Massive Mountains of Mario Mania coming your way soon! 1b) I dunno. The new Mario Bros. one looks awesome, though. 4) I guess since Wario games are covered and now that Diddy's been a selectable character in a few of the Mario games, DK games would make sense to do, too. 7) I can't read non-existing text. Sapphira: ... Oh, " ," yourself.